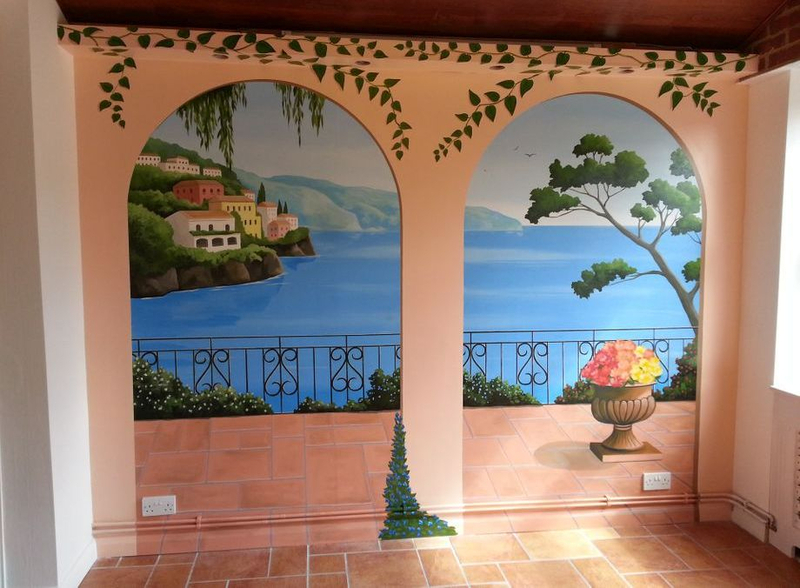 This pretty trompe l'oeil balcony scene was painted in a conservatory in Welling. We matched the balcony paving with the flooring that was in the consevatory to really give this mural the illusion that you could step outside. This took us four days to complete.